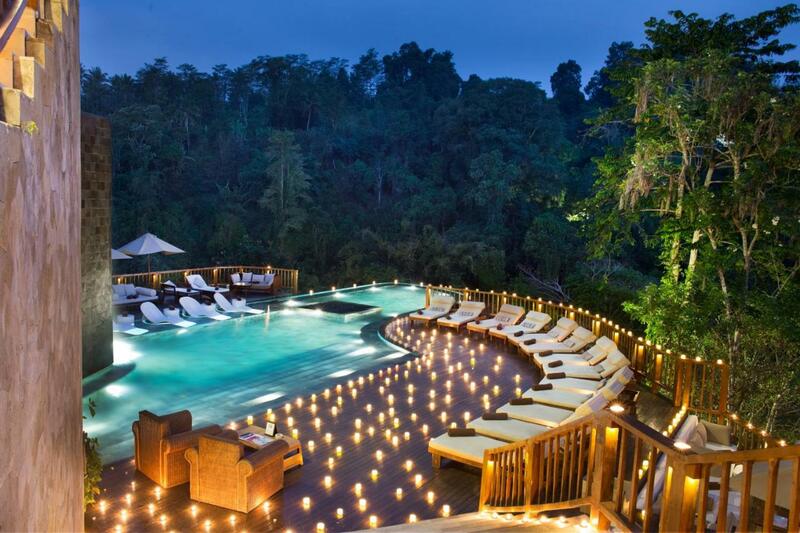 With summer upon us, why not cool down with a dip in one of the world’s most luxurious pools? 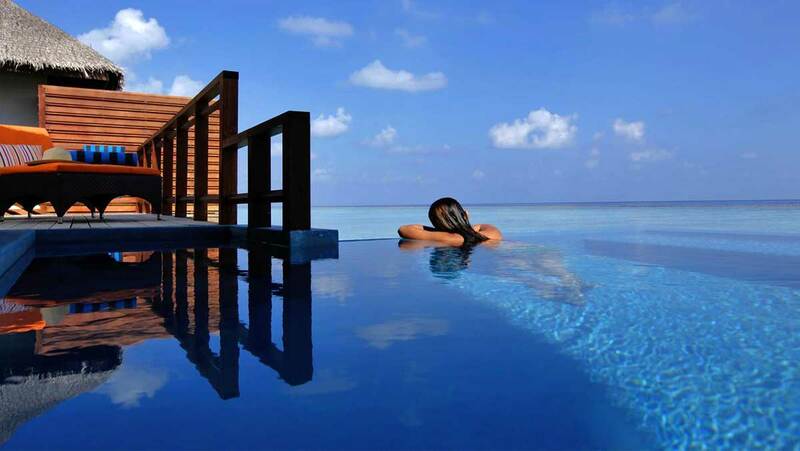 Booking.com has found seven beautiful accommodations worth booking for their stunning swimming pools alone. 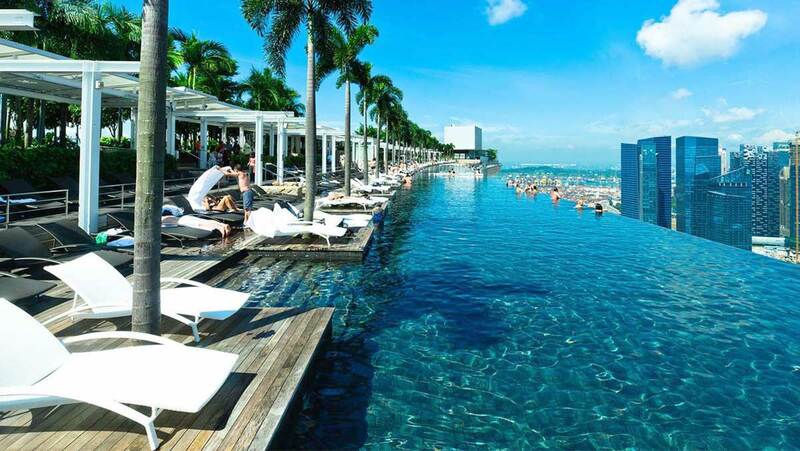 Combining the ultimate in design with views to die for, these jaw-dropping pools will make your stay unforgettable. 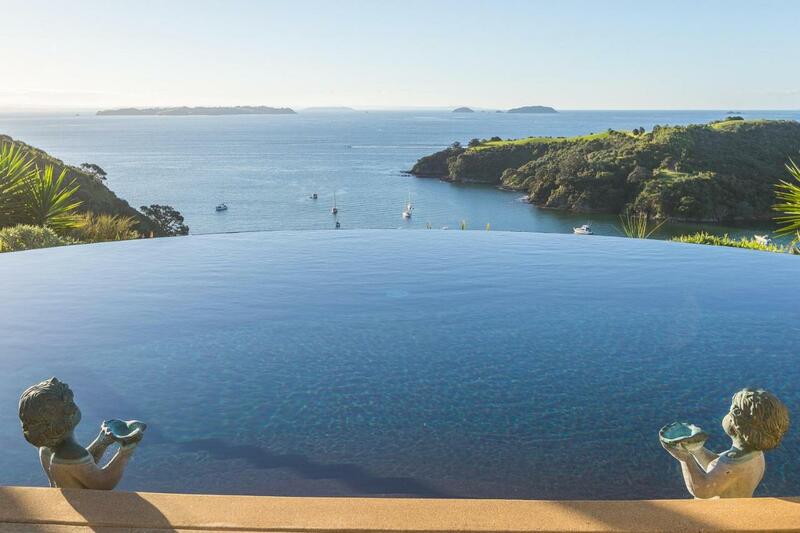 Imagine a luxurious beachfront and over-water accommodation with uninterrupted ocean views, where it is hard to tell where the pool ends and the ocean begins. 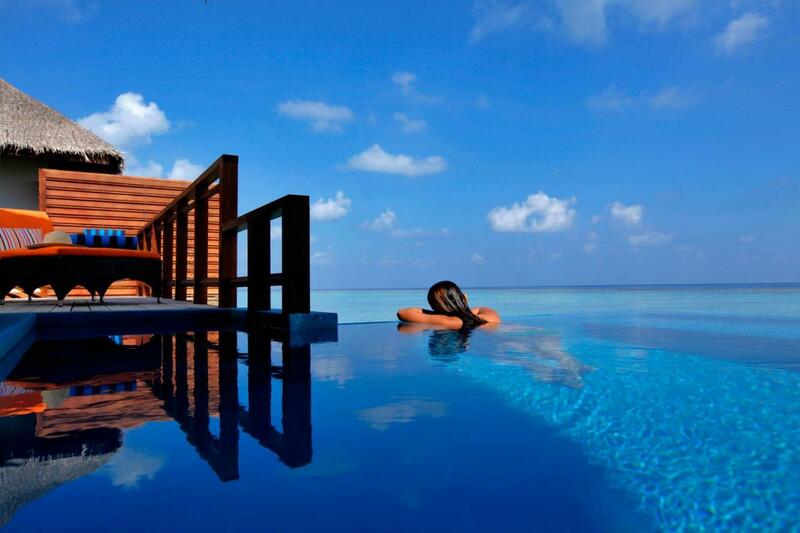 Situated a 25-minute speedboat ride from Malé International Airport, Velassaru Maldives is a perfect place for complete rest and relaxation, while enjoying the sounds of the waves from its stunning infinity pool or the privacy of your bungalow or villa. 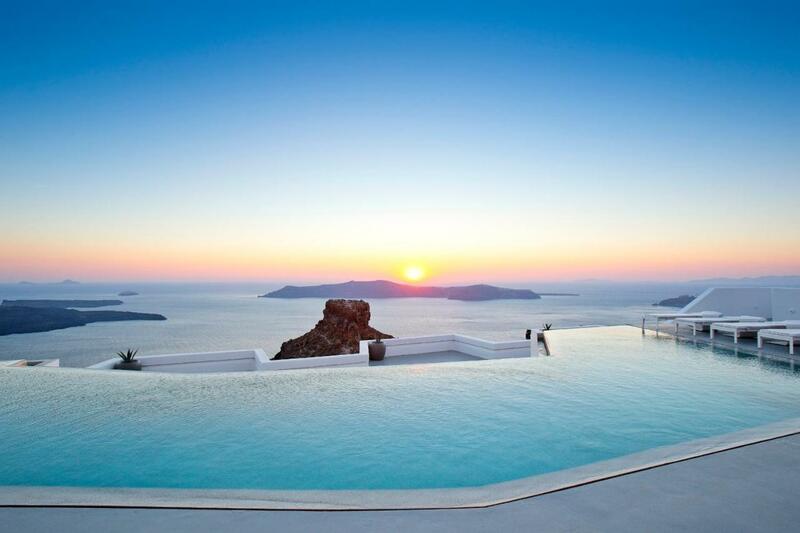 Swimming under the sunny Mediterranean sky while enjoying the uninterrupted views of the Aegean Sea on the world famous island of Santorini can be a lifetime experience. 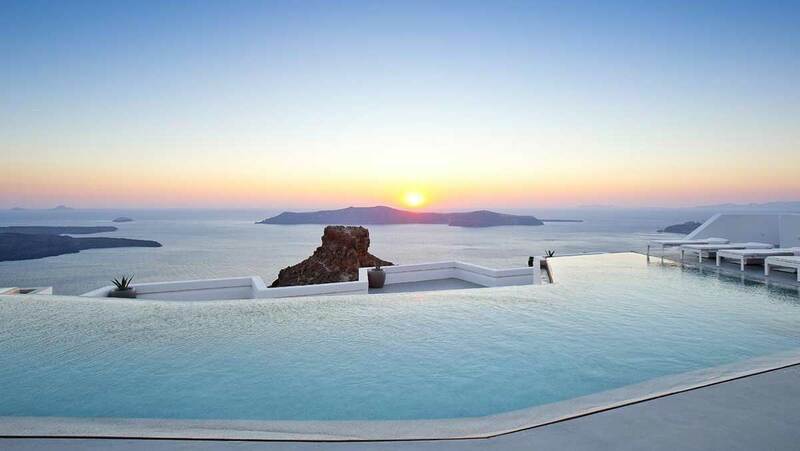 Grace Santorini is an exclusive boutique hotel with stylish rooms and an infinity pool overlooking the sea. Put on some sunscreen, order your favourite cocktail at the hotel’s pool bar and get ready to spend a relaxing holiday soaking in the warm waters of a gorgeous and refreshing pool. 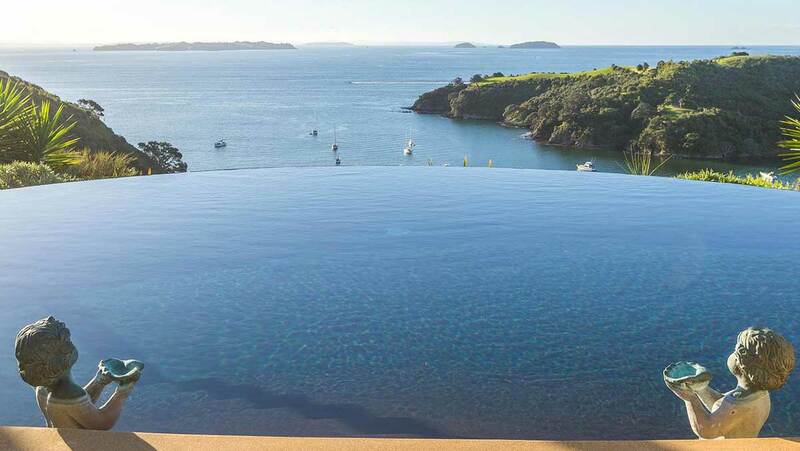 Boasting panoramic views of the Hauraki Gulf, Delamore Lodge’s pool is the best place to unwind after a day at the beach or exploring the Waiheke Island. Following the stairway at the lodge’s courtyard, guests will find themselves at a tropical pool with waterfall, a cave-like spa pool and sauna. Delamore Lodge has spacious suites with floor-to-ceiling windows and a private patio, as well as its own wine cellar showcasing award-winning local wines. 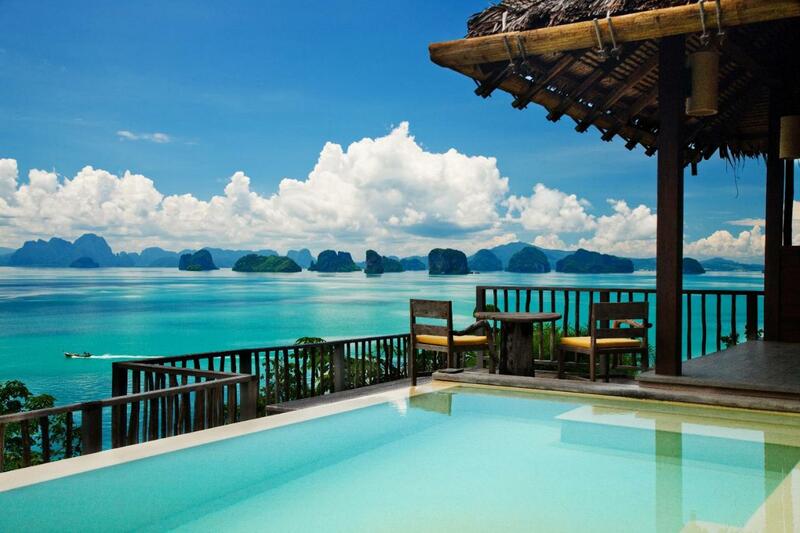 Spread over 24 acres of beautiful natural environment, Six Senses Yao Noi is a quiet retreat surrounded by water and unique landscapes away from the city. 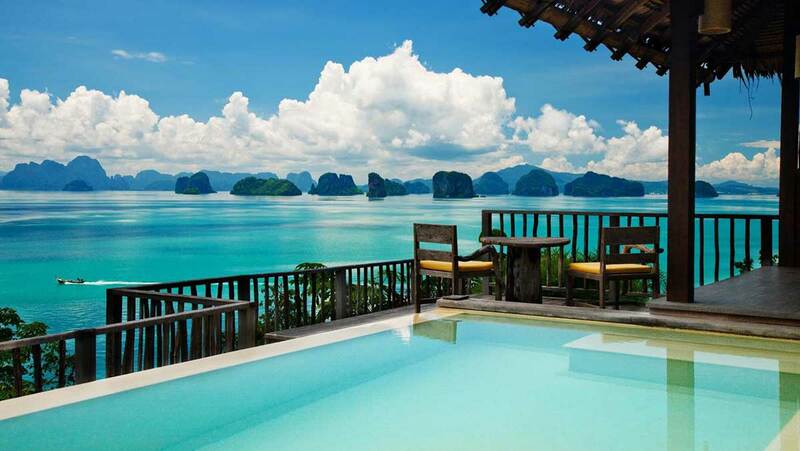 Overlooking Phang Nga Bay, the spacious villas all come with a private, beautiful outdoor pool, sun loungers and personalized butler service. Guests here have the opportunity to choose from a variety of exclusive activities, including Thai cooking classes, wine tasting sessions, and outdoor movie screenings at the private beach. 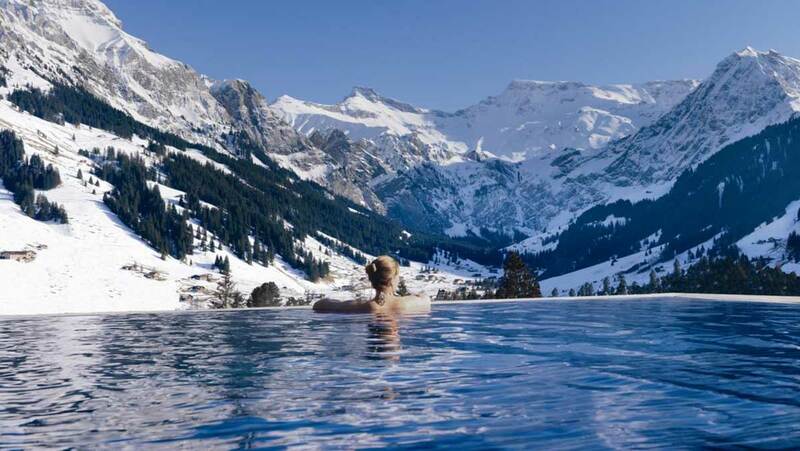 Home to a 700 m² spa area and an outdoor pool overlooking the Swiss Alps, the Cambrian is a great place to relax with a fine glass of wine while floating in the heated waters of its spectacular infinity pool. 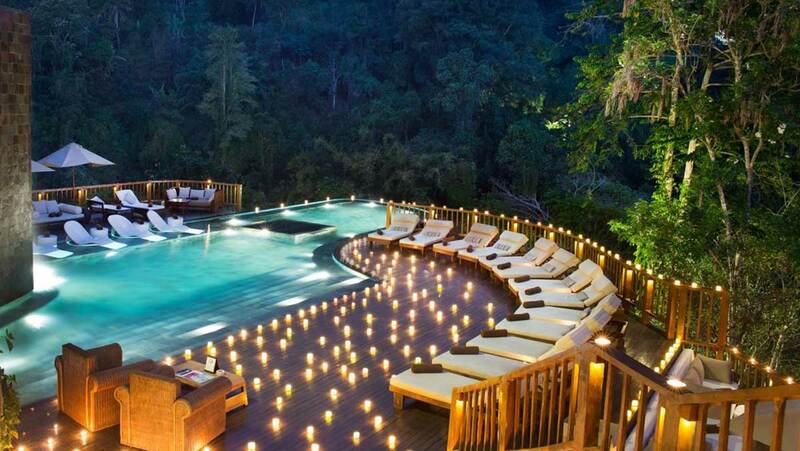 Guests can enjoy unique views of mountains and waterfalls from the sun terrace and lounge, which features a fireplace. No matter the weather, the inviting waters of the hotel’s outdoor hot pool are waiting for you to jump in!